Provide a space for co-operative practitioners, researchers, developers, and educators to contribute their experience and expertise to support the development of co-operative enterprises globally. Help promote awareness, understanding and appreciation of the unique aspects of the co-operative enterprise business model. Stimulate positive growth in and across co-operative systems of enterprises through research and development, evaluation, and strategic intelligence activities and initiatives. Acquire or create and deliver information technologies which help to empower, inform, involve, educate and connect co-operatives and their members. Few Americans are aware of the steady build-up of innovative community wealth building strategies throughout the United States. Community-Wealth.org, a project of the Democracy Collaborative, brings together information about the broad range of community wealth building activity. and a cooperative bank or financial institution. 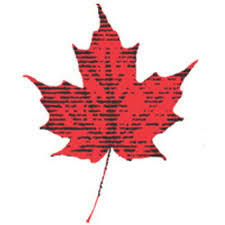 The Council of Canadians fights for economic and social justice. They promote fair trade over free trade, just and sustainable jobs, public health care and water, energy and food security, and alternatives to corporate power, in Canada and around the world. The foundation of their work is the education and empowerment of people to fight for the values and policies they believe in. Their supporters and network of more than 60 active volunteer chapters create an important voice for social and environmental justice. 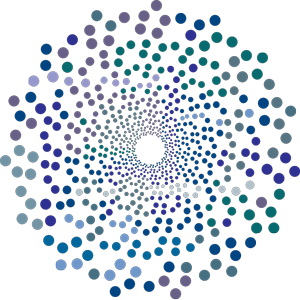 The Data Commons Cooperative is a movement-building organization, owned and controlled by cooperative development centers, federations, solidarity economy groups, and others, who want to maintain robust, accurate, useful platforms for sharing information. The cooperative gathers information and creates tools that make it easy for members to access each others’ data, and broadcast information to the public. Democracy at Work (d@w) conceives, creates, and distributes media aimed at demonstrating why, and how, democratizing the workplace is a viable solution for a new and better economic system. Based on the book Democracy at Work: A Cure for Capitalism by Richard D. Wolff, the organization advocates for democratic workplaces - including worker cooperatives and workers self-directed enterprises (WSDEs) - as a key part of moving forward from the current model of capitalism to a new and better economy. Food & Water Watch champions healthy food and clean water for all. We stand up to corporations that put profits before people, and advocate for a democracy that improves people’s lives and protects our environment. They work to create a healthy future for families and generations to come—a world where all people have the resources they need, including wholesome food, clean water and sustainable energy. The Global Hub for the Common Good is a think tank from the people for the people. In order to drive systemic change they develop three main types of activities. “Think-Ocean Series:” Research projects developed through participative events (debates, workshops…) with people from different background, cultures and countries who co-create new laws, policies and public policies aimed at building a better world. “Policy-Making Proposals:” As a result of their “Think-Ocean Series” and their observation of the social innovation, changes and demands of our societies they make and present policy proposals to governments on all levels, from the local to the UN. Grassroots Economic Organizing (GEO) is a decentralized collective of educators, researchers and grassroots activists working to promote an economy based on democratic participation, worker and community ownership, social and economic justice, and ecological sustainability--a "solidarity economy"--through grassroots journalism, organizing support, cross-sector networking and movement-building and the publication of educational and organizational resources. Green Worker Cooperatives is based in the South Bronx and serves immigrants and communities of color. It builds, grows, and sustains worker-owned green businesses to create a strong, local, and democratic economy rooted in racial and gender equity. 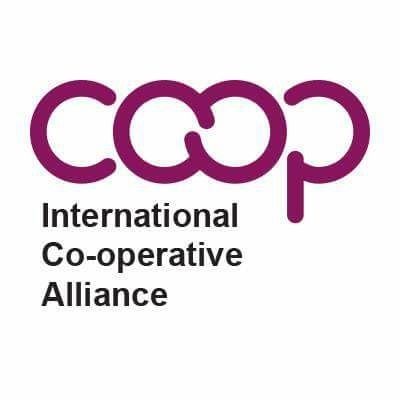 The International Co-operative Alliance was established in 1895 to advance the co-operative model. The Alliance is the apex organisation for co-operatives worldwide, representing 308 co-operative federations and organisations across 107 countries (figures of April 2018). The members of the Alliance are national level co-operative federations, individual co-operative organisations and government offices concerned with co-operatives. The New Economy Coalition (NEC) is a network of organizations imagining and building a future where people, communities, and ecosystems thrive. They believe that all our struggles—for racial, economic, and climate justice; for true democratic governance and community ownership; for prosperity rooted in interdependence with the earth’s natural systems—are deeply interconnected and that the challenge of building a better world demands that we fundamentally transform our economic and political systems. The Center engages in local community support and outreach to promote and advance initiatives and movements toward social justice, grassroots empowerment and democracy, and environmental sustainability. It is also devoted to critical analysis of the processes and impacts of globalization, both local and international. 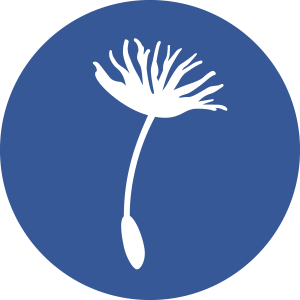 The Center works to develop alternative socio-economic systems that conserve and share the world’s cultural, economic, and environmental resources for the benefit of humankind. The Pluralist Commonwealth, a project of the Democracy Collaborative, is a systemic model, developed and refined over the last forty years by political economist and historian Gar Alperovitz, which attempts to resolve theoretical and practical problems associated with both traditional corporate capitalism and traditional state socialism. A central emphasis is the reconstruction of communities--and the nation as a community--from the ground up. Transition is a movement of communities coming together to reimagine and rebuild our world. It is about communities stepping up to address the challenges of climate destruction and economic instability by starting local. They seek to nurture a caring culture, one focused on supporting each other, both as groups or as wider communities. In practice, they are reclaiming the economy, sparking entrepreneurship, reimagining work, reskilling themselves and weaving webs of connection and support. It’s an approach that has spread now to over 50 countries, in thousands of groups: in towns, villages, cities, universities and schools. The United States Federation of Worker Cooperatives (USFWC) is the national grassroots membership organization for worker cooperatives. Its mission is to build a thriving cooperative movement of stable, empowering jobs through worker-ownership. It advances worker-owned, -managed, and -governed workplaces through cooperative education, advocacy and development. The Federation represents over 160 business and organizational members representing over 4,000 workers across the country. It organizes through local cooperative networks while building power with national and international partners to advance an agenda for economic justice rooted in community-based, shared ownership. The mission of the U.S. Solidarity Economy Network is to connect a diverse array of individuals, organizations, businesses and projects in the shared work of building and strengthening regional, national and international movements for a solidarity economy. The network facilitates ongoing communication and dialog relating to the development of solidarity economy ideas, values and practices; the sharing of experiences, models and skills; and the creation of collaborative, movement-building projects between network members. The Workers’ Economy Gatherings are meetings that brings together recuperated and self-managed enterprises, cooperatives and social and popular economy organizations, as well as trade unions and academics interested in and committed to self-management practices and the project of a new workers’ economy. The first gathering was organized in 2007 by Facultad Abierta, a program of the University of Buenos Aires, Argentina. It now includes a growing number of organizations and movements worldwide. There have been additional international gatherings of The Workers’ Economy in Buenos Aires (2007, 2009); Mexico City (2011); João Pessoa, Brazil (2013), and Venezuela (2015). Regional gatherings have taken place in Europe, in the Fralib worker-recuperated factory in Marseille (2014); in South America, in the Textiles Pigüe worker-recuperated factory in Argentina (2014); and in North America at the Universidad Obrera de Ciudad de México, (2014). 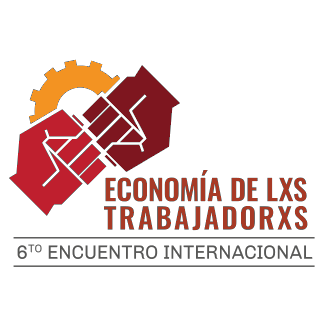 Regional encounters in 2016 included the 2nd Euromediterranean Workers Economy Meeting in Thessaloniki, Greece, the 2nd North American and Caribbean Regional meeting in Mexico City, Mexico and the 2nd South American Encounter in Montevideo, Uruguay. The 2017 international gathering was held between the 30th of August and the 2nd of September in the Hotel Bauen in Buenos Aires and the Cooperativa Textiles Pigué, both recuperated and run by their workers.